Blog Zolomondo & Chilekwa—almost 5 years later. Zolomondo & Chilekwa—almost 5 years later. CEO and Co-founder Greg Bixler is in Malawi this week with Africa Field Director Beatrice Chisenga, Emmy award winning filmmaker Mike Edwards from The 5 Stones Group, and cameraman Danny Woods. They are working on a new short film highlighting the amazing transformation LifePump has had on the communities of Zolomondo and Chilekwa. These were the first two LifePumps installed with World Vision in 2013 and have never experienced a day of downtime. For pumps this deep and remote, five years is almost unheard of. Mike and Danny interviewed several people in these communities, and they are all so thankful. 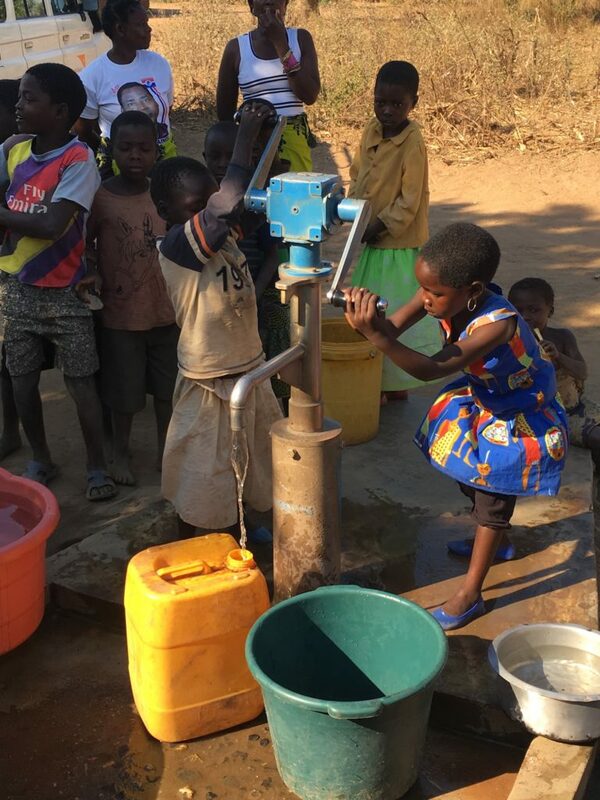 The DO team has visited these two villages a few times over the years, and it’s such a blessing seeing how quality pumps can make such a difference. 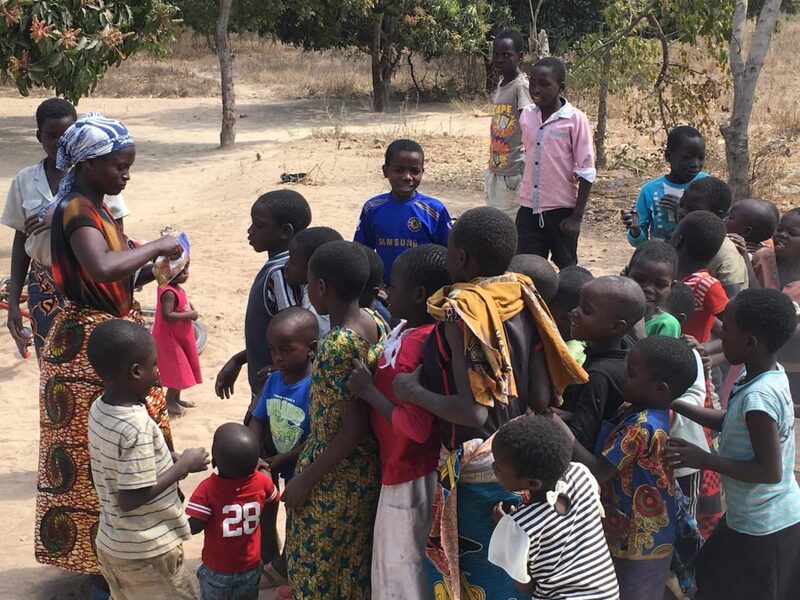 Five years ago, before LifePump, people were lining up at 1 or 2am to get water from an open spring, which is normally covered in algae and visited by hyenas. Many of the problems these communities faced are now gone because of LifePump. We’re so excited to share firsthand what is happening on the other side of the world because of your support. 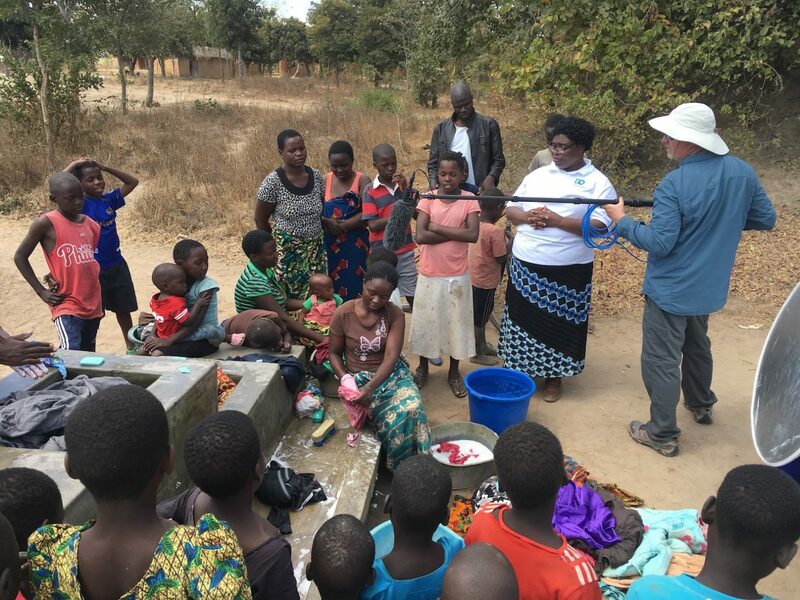 Our friend Vickness, who is the Treasurer on the Zolomondo water committee, was so helpful. A special thanks to The 5 Stones Group for helping to make this film possible. They have been awesome. Beatrice has been invaluable in helping to coordinate these efforts. For Greg, it’s been a joy spending a few days in these villages. People are so friendly and they are praising God. It’s so great to share that we’re doing this because of our faith in Him. Our team was able to measure pump efficiency and inspect the pumps firsthand. Everything looks great. There are many more years of life in these LifePumps. Thank you for your unwavering support and prayers to change the status quo and share God’s love. We hope you can join us at our annual Give Water Gala on September 20 for the debut of this new film!